Grasshopper and eVoice represent a growing niche of business VoIP phone systems based more on the cloud than in an office. They both give small and growing businesses a professional appearance while giving workers, from the CEO on down, the opportunity to do their work where ever and whenever they choose to. 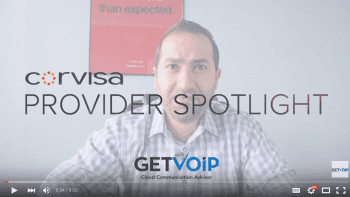 Both providers rely on having mobile or PSTN connections, rather than using IP phones. Let’s take a look at how the two companies stack up against each other. Toll Free Number 888, 877, 866, 855 and 800 numbers available. 800, 888, 866, 855, 844, or 877 numbers available. Grasshopper has four price tiers. All tiers include an unlimited number of extensions, your choice of a toll-free or local number, and all the features that they offer. The “Pay as You Go” model is $12/mo, with no included minutes. The plan gives you one number, and minutes are 6c each. The “Ramp” plan for $24/mo gives you one number and has 500 minutes included per month. The “Grow” plan, for $49/mo, gives you two up to two toll free or local numbers, and includes 2,000 minutes. The “Max” plan is $199/mo and gives you three numbers, 10,000 minutes, and gives you unlimited access to their repertory of professional voice actors, who will read greetings and prompts for your company. eVoice’s plans start at $12.99. The single user solution includes 300 minutes/mo, 2 extensions, and all their features. The higher tiers include Internet fax, VIP support, and more extensions and minutes as the plans get more expensive. The $29.99/mo tier has five extensions, and 1000 minutes. The $49.99/mo tier has 2,000 minutes and ten extensions. Their $79.99/mo plan includes 4,000 minutes and 15 extensions. Just by looking at the numbers, you can see that the plans overlap at the $49 mark. Minute plans aren’t the only difference between the two providers. Grasshopper gives unlimited extensions, while eVoice subscribers must pay a premium for each one. With Grasshopper’s plan, the company can be one person, but give the appearance of a thousand; eVoice makes a definite connection between the actual users and the price of the monthly bill. In fact, you can only have up to three phone numbers per user on the account. eVoice has a 30 day free trial, while Grasshopper has a 30 day money back guarantee. Neither provider has contracts. Because both providers are BYOD, it’s very easy to get started. Both providers give you the option of either a local number or a toll-free number,. Grasshopper charges $30 for a vanity or toll-free number. eVoice charges $30 to activate a toll free number, and has a monthly charge. eVoice does not allow you to port out numbers from their local number pool, but if you activated a toll-free number or ported your number in, you can port the number out. Grasshopper charges a $30 to port in either a local or toll free number, but you can port the number out even if is assigned by Grasshopper. One of the major selling points for both Grasshopper and eVoice is having a professional image associated with much larger companies. That means having an auto-attendant, on-hold music, toll-free numbers, and other features of an advanced PBX. Below are some of those features. Find Me/Follow Me: eVoice and Grasshopper both build their business models around find me/follow me, more so than other providers that emphasize CRM features. You can have your calls routed to your home, office, cell phone and/or mobile app, with call screening features as well. Business Hours/VIP Treatment: With this feature, you can direct your call to go certain phones or directly to voicemail depending on the time of day. You can also modify this rule for certain VIP numbers. Greetings: The greeting is closely related to the auto-attendant prompts. With Grasshopper and eVoice, your callers hear the name of your business when they call you. You can record the greeting yourself and upload it as an mp3, make an automated message, or have a professional voice actor do it for a premium charge. eVoice gives you one free professional greeting, and others are paid after that. Grasshopper subscribers get unlimited access with the Max plan. Call queues: eVoice has call queues, and Grasshopper also a feature called rotational extensions, which means that each employee receives an even share of calls throughout the day. This is a great way to ensure that each employee’s time is fairly divided in sales and support businesses. Caller ID: Both providers give you custom outbound caller ID. When you call someone using the mobile app, the outbound caller ID shows your name and number of your business, so you can keep your business and personal phone numbers separate. Both eVoice and Grasshopper have mobile apps for both the Android and iOS platforms, but Grasshopper’s is considered in Beta for Android, meaning they are still in the testing phase. Regardless, both providers’ apps are free to download. 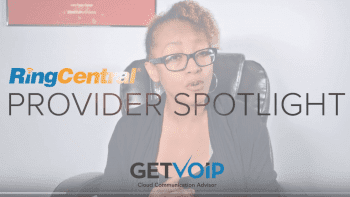 One feature that many VoIP providers would consider a premium feature is available to basic subscribers of both providers: The Click-to-Call widget. With this feature, you can add a few lines of code to your web site, and it gives visitors to your web site a way to call you with just a click of a mouse. It’s a great feature that generates more business. Another feature is slightly hidden from view. With both eVoice and Grasshopper, you can set your office phone to make calls with your eVoice/Grasshopper caller ID. With eVoice, you can use what’s called the Telephone User Interface, or use outbound Click-to-Call on their web portal. With Grasshopper, you must first activate your number with their phone support team, then, every time want this feature, you must dial into their system, then enter your own phone number, and a PIN code. The eVoice way of making outbound calls is much simpler. One area where there eVoice pulls way ahead is in conference calls. Grasshopper allows up to ten participants in a conference call, including the person that initiates the call. eVoice has a capacity of a whopping 95 participants, including the one who initiates the call. There is also a premium option with eVoice to have a web conference with up to 2,000 participants. With both eVoice and Grasshopper, there is no extra charge to use the conference bridge, but you do use the number of minutes times the number of participants. They both offer voicemail transcription, which can be sent to an email or as a text message. Grasshopper offers this as an option for $10/mo, and you can choose whether the transcription is done by a human or a computer. eVoice customers do not have to pay extra for this feature, although they can pay a premium for a human reviewer. Inbound paperless faxing is free for eVoice subscribers, although one fax page uses one minute. Outbound paperless faxes are a premium subscription service that costs $1.95/mo. Grasshopper subscribers can also get free inbound faxes, and have access to a service called Fax on Demand. Your documents are faxed to a library that stores the images, and your fax recipient must actively call into a separate fax extension in order to get documents faxed to them. Neither eVoice or Grasshopper are compatible with 911 or E911. In order to use those services, you must use a traditional cell or landline to connect. Grasshopper and eVoice also do not list your business in the phone book, you must pay for that on your own. 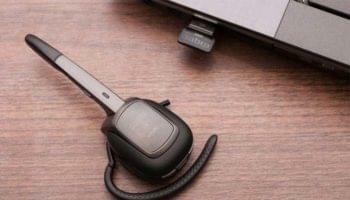 eVoice and Grasshopper both reflect a business model of the entrepreneur on the move. They offer all the features of a PBX with a BYOD mentality. Although you might imagine relying on smartphones to use these providers, it is possible to set the outbound caller ID on any phone, so you can have both inbound and outbound calls through your provider, creating business continuity. One of the biggest differences between the two is the capacity of the conference bridge, which eVoice has a huge advantage. Another big difference is the fax plan. In order to send eVoice faxes, you must pay $1.95 extra per month, or even use their sister company, eFax. Grasshopper, by contrast uses the innovative Fax on Demand. Grasshopper has unlimited extensions on every plan, while eVoice’s pricing structure is based around extensions. If you have an SMB and don’t want to change all your phones, or have your workforce spread out throughout the country, or just don’t feel you’d need all the features of the more expensive VoIP providers, Grasshopper and eVoice are great choices for you.